Hyper Dragonoid evolved from Pryo Dragnoid. It has a sleeker build for quicker maneuverability. Hyper Dragonoid can blend into its surroundings for sneak attacks. It can now move the horns atop its head in every direction, allowing it to attack or protect itself. 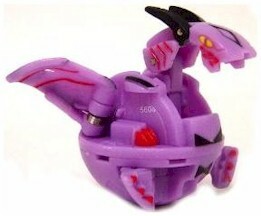 Also, it shoots fire balls at its opponents that break in two for a double attack. Purchase Hyper Dragonoid from Amazon now!